The Beatles are a big part of why I listen to music at all. Twist & Shout (a compilation Capitol Records in Canada made out of their official UK releases) was the first album I ever owned. I was going to write, ‘the first album I ever bought,’ but of course my Mom and Dad bought it, and my brother Al and I shared it until the grooves were worn down. In fact, we didn’t even have a record player that would play 33 1/3 vinyl albums when it came along. We had to sit and stare at the sleeve for a week while my Dad took the old 78 rpm turntable into the local radio shop and had a new multi-speed turntable dropped in. The excitement was palpable as we came home from school that afternoon and counted the minutes ‘til Dad walked in with the new and improved record player! It was soon after hearing The Beatles that I asked for (and received) my first guitar. It was a Sunburst with a neck that was already warped, which made it very difficult to play. Lessons were frustrating, focusing on songs like “When the Caissons Go Rolling Along” instead of the really important tunes like “Anna” or “Boys,” “Please Please Me” or “Love Me Do.” Soon enough though I was able to strum along. That first Beatles’ album gave clues to the later development of the Four Mop Tops. Here we are nearly fifty years later … and in one week we’ve seen the release of new albums from Ringo and Paul. John Lennon was gunned down in the street outside his apartment in New York over thirty years ago, but his son Julian just issued his fifth album. And George, who was claimed by cancer in 2001, was recently celebrated in a long-form documentary by Martin Scorsese. Paul and George featured on two Mojo magazine covers in 2011, and Rolling Stone issued two different special editions devoted to the band. The Beatles continue to be on our minds … and on our playlists. So let’s look at these two new releases. The songs are key to Kisses on the Bottom. They are drawn from the Great American Songbook, and one wonders why it took Sir Paul so long to get around to singing them. He has said in interviews that he didn’t want to be seen as copying Rod Stewart who, between 2002 and 2010, released five albums of these classic songs. 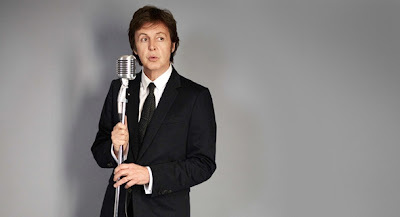 It has long been known that McCartney loves this music; The Beatles covered “A Taste of Honey” on Please Please Me, “Til There Was You” (from The Music Man) on With The Beatles; and McCartney himself wrote songs capturing the flavour of the ‘30s like “Honey Pie,” and “Your Mother Should Know” on later Beatles albums (both songs are credited to Lennon-McCartney, but in reality McCartney wrote them alone). The songs on Kisses range from “I’m Gonna Sit Right Down and Write Myself a Letter” (a song credited to Ahlert & Young, but likely from the musical mind of Fats Waller) to Johnny Mercer’s “Ac-cent-tchu-ate the Positive” and Irving Berlin’s “Always.” He brings to light more obscure tunes as well: “More I Cannot Wish You” from Guys and Dolls, and another Fats Waller tune “My Very Good Friend the Milkman.” The latter must have been a big hit in the UK as it also appears on Eric Clapton’s most-recent album. In fact, Clapton himself plays guitar on two songs, and Stevie Wonder adds his signature harmonica to a McCartney original “Only Our Hearts.” The main backing throughout the album is provided by Diana Krall and her band, and they capably add the swing that these songs need. Sir Paul’s voice is in fine form, but he tends to stay within his higher range. He has called this an album for “coming home after work” which is the way I first heard it. I came home, put this on the CD player and relaxed. The trouble was the whole thing just blended into the background. Disappeared. On second listen, I noted Ms Krall’s piano breaks and little vocal harmonies. It’s all so very professional and obviously a work dear to McCartney’s heart. I’m just not sure that I’ll be returning to it often. It compares to Harry Nilsson’s A Little Touch of Schmilsson in the Night which I loved but haven’t listened to in years, or Ringo’s first solo record Sentimental Journey. Ringo, of course, is nowhere near the vocalist that Paul is, but Ringo 2012 shows that he has come a long way over the years. Who would have imagined that he could present us with seventeen albums since 1970, or that his latest record would rock quite so hard as it does? It’s a guitar album, from one of rock music’s great drummers. Joe Walsh, Ringo’s brother-in-law, has accompanied him as part of the All-Starr Band, and is part of the session band for this release. Joe is not, however, the only guitarist on the project (Dave Stewart and Kenny Wayne Shepherd also appear). 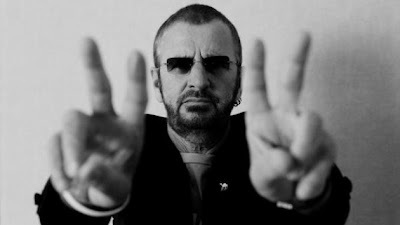 When Ringo’s first rock effort, Ringo, appeared in 1973 he was surrounded by numerous guest stars including John, Paul and George, T Rex’s Marc Bolan, Billy Preston, and members of The Band (and co-produced by that master of sound, Richard Perry). 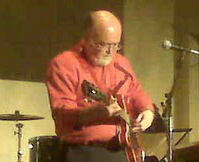 In 2012, he keeps it to a self-produced small-band recording. And it sounds great coming out of the speakers in the car. Ringo is a good producer … who’d’ve guessed? How was it for us? Well it was great. It’s been a lifetime of music and more. How can a simple rock band have had such an impact on not just one generation, but all the generations that have come since we first saw them on The Ed Sullivan Show on February 9th, 1964? I remember that night like it was yesterday. We watched Sullivan every week anyway for Topo Gigio and the dancing bears, but that night was special. Are these CDs as magnificent as that first appearance? Of course not. Sure, Ringo’s voice has its limitations, and Paul’s professionalism that sometimes masks his depth will always be an annoyance. But still, they’re not afraid to put themselves out in the market, and create albums as interesting as these two. Even the album covers appear related! Maybe they won’t inspire kids today to pick up a guitar, or drumsticks, but I’m keeping Ringo 2012 in the car for another week or two, and I’m looking for guitar chords for “My Old Friend the Milkman.” Or maybe I’ll try it on the ukulele! Hmmm.